It happens slowly. First the tiredness and then the symptoms come on – one by one. You go to the doctor, expecting to go home with magic medicine and, soon, you’re going to feel better. But what if that never happens? What if you never feel better? Doctor after doctor examine you, trying to make sense of your symptoms. They don’t have the answer, either. Run this test or start that medicine. The tests keep telling you that you are fine; You’re healthy as can be. But you’re dying on the inside. Some don’t believe that you’re sick; That it’s just all in your head. You start to think maybe they are right. But you keep searching for a cure anyway. Some way to manage your symptoms. You spend your days learning medicine. Medicine is no longer a science, it’s an art. One you haven’t mastered yet. Something to make sense of it all- make sense of the pain inside. To give you hope that someday it will get better. Year after year that goes by – and every doctor that you see leaves you feeling even more lost than ever before. 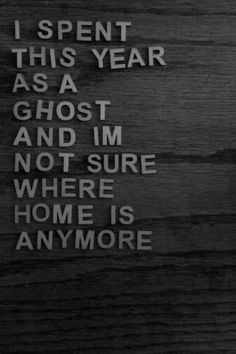 Left to be the ghost of who you used to be – and may never be again. The Problem With Being Undiagnosed? 1) You can’t use your benefits. At some point, you may become too sick to work. You can apply for disability benefits through work, but more likely than not, they will deny you for lack of proof. Yes, your symptoms are documented. You’ve been to every doctor in the world. Your list of medications is incredibly long. You have every test and procedure on record. But none of these supply objective proof that you’re sick. Nothing else matters, especially in insurance. Same thing with Social Security Disability. 2) No one takes you seriously. Friends, family, doctor’s, employers, etc. If you don’t have a diagnosis, you must not really be sick. Or it’s in your head. Otherwise, the doctor would have found it…. While it’s wrong, it still happens. It’s also hard to explain the unknown. 3) You have no medical home. When you’re sick, who do you call? You have so many doctors, which is a catch 22 if you have multiple symptoms. Call your primary care doctor… no, call your GI doctor.. the immunologist needs to handle that…You end up going in circles…. Plus, most of the time doctor’s are so busy and they don’t communicate with one another. So it’s on you to manage your own care. Who needs what notes? Who prescribes what med? Who is handling what paperwork? It’s exhausting. Let’s not even talk about doctors dismissing you from their practice because “there’s nothing else they can do for you” -or- they believe you’re malingering -or- just want pain medications. And god help you when you have to find a new doctor. 4) Despite trying different medications, diets, and lifestyle changes, you don’t know what you really have. You can try to make it better, you do try to make it better, but how do you know what exactly is helping or hurting? Now, I know a diagnosis doesn’t guarantee a cure or that you’ll feel better, but at least you can follow a protocol, read books, talk to others with your exact condition. Being undiagnosed is blind. Treatment is blind as well. You’re just forced to live with it, deal with it. 5) Your condition gets worse because it wasn’t treated or managed in time. Again, not to say a diagnosis means that your illness won’t progress, but it happens far more often than not with those who can’t find the help they need. 6) There’s no support group for you. No ribbon to wear. 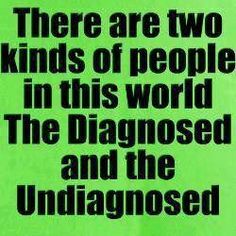 And only a few organization help patients who are undiagnosed. Luckily, other chronic and invisible illness communities accept us with open arms. Because at one point, they too were undiagnosed. Read, Read, Read. Do as much research as you can. Learn medical terminology and abbreviations. Read medical journals, case studies, or peer reviewed articles. Just avoid WebMD, Wikipedia, and the like when looking for information. There’s also a ton of great books on becoming your own patient advocate, how to navigate the healthcare system, and even some on being undiagnosed. Knowledge is power when it comes to actively protecting your health and care. Be organized! Keep copies of everything, from every doctor. You never know who or what will be important at a later time. Keep a symptom journal, document every pain and every symptom. Take pictures of the visible symptoms, no matter how unimportant and unrelated it seems. It’s a way to document objective proof. And you can show it to your doctors as well. Prepare for your appointments. Write down any questions, any medications, and any symptoms. Stories help to put your symptoms into context, helping your doctor to better understand how your symptoms affect your life, as well as possibly giving insight to what may be causing them. Google Your Doctors. Read reviews, talk to other patients. If you feel like you’re having problems or not getting the proper care, it’s likely others are too. This will tell you whether you may just be sensitive about the issues or if you do need to look for other care. It may just be your condition is truly that rare or hard to diagnose, but it’s good to know if you are in good hands or not. Sign up for clinical trials and research studies. Sometimes you can try new medications or have testing done for free. In clinical trials, they monitor you very closely and maybe it could lead to more answers or pieces to the puzzle. You just never know. Tell your story. By sharing your experiences, you may find others going through the same or similar experiences. To know you’re not alone. It also helps you to get things your chest and helps others to understand. Keep searching. Never give up. You deserve to feel better, to have answers. Even if your condition is rare, if you can get a diagnosis then you’re helping to advance the world of medicine, perhaps even helping others who are also searching for a diagnosis. Spread Awareness! Help us have a voice in the medical community. Help us to get better, join our search, support us. Believe us, and believe in us. No matter the illness or condition, diagnosed or undiagnosed, we fight every day for some sense of normalcy and peace in our lives. 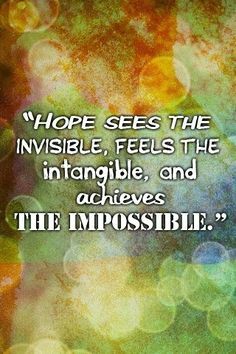 We work so hard to continue to have hope and to stay positive. We are lonely, tired, scared, and in pain. However, nothing hurts us more than feeling like we have to prove how sick we are. My then-14-year-old brother and I were taken to mental health wards before doctors knew we both had a genetic illness, despite being mentally well, so I know what that’s like. I’ve heard of so many who got placed in the mental ward because of being undiagnosed. My father once threatened me with it, luckily noone did. Just thinking about what you and your brother must have went through makes me sick to my stomach. 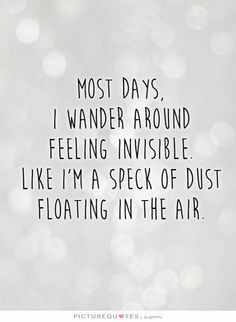 That was a beautiful post ❤ Thanks so much for writing it, and you managed to sum up exactly how I've been feeling (as someone undiagnosed for almost 3 years now). It's so nice to not feel alone, and I wish you the best in your journey for health. Stay strong! Thank you. You too. I know it’s not easy waiting for a diagnosis. But it WILL be worth it. It’s hard to really express how it feels each and every day. How it REALLY affects your life. I’ve been trying some new things lately, so I plan to post a few things after they’ve been tried out a few more times. I feel your pain. It took 15 excruciating years before I finally received my Endometriosis and PCOS diagnoses. Since that time, while still suffering with Endometriosis symptoms and pain, I managed to develop another mystery condition, which has been Dx as everything from what I originally thought was dental issues, which were eventually ruled out, to Trigeminal Neuralgia to TMJ to Atypical Facial Pain to Atypical Trigeminal Neuralgia, to Atypical Facial Pain, and the list goes on and on. In other words, countless doctors and specialists have no freaking idea what is causing my disabling constant pain which is essentially still undiagnosed. I agree that self-education and knowledge is SO important. Keep fighting, hang in there, and never give up! This blog post was so touching to me that it made me cry. Thank you so much for writing this. You look so young too in your pic. I wound up in the psych world because of this mess. I know that it’s not in my head. I’m simply undiagnosed, like you. We are sick, but the world looks down on us. There are millions like us, too. You’re not alone, nor am I. So many of us out there. I have found many of them on social networking sites such as this.